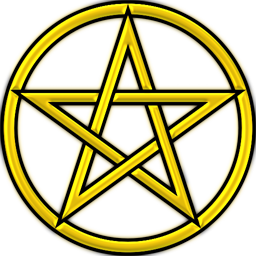 Tax Magick Blog - Deduct Your Dues – and more! Deduct Your Dues – and more! There has been confusion in the past about whether O.T.O. dues are tax-deductible. Some have noted that dues paid to “fraternal organizations” are not deductible according to the IRS. Indeed this is the case for organizations like the Freemasons, which are usually organized as 501(c)(8) or 501(c)(10) organizations–in other words, their purpose is primarily fraternal. O.T.O., on the other hand, is organized as a 501(c)(3) organization–our primary purpose is spiritual (i.e. religious). Thus, our dues are considered to be contributions and are therefore tax-deductible. Donations to your local body or to Grand Lodge directly. This includes cash donations such as jar contributions at Mass and admissions to events, and also donations of items (at fair market value). Unreimbursed Expenses – if you buy candles or roses for your local body out of your own pocket and are not reimbursed, you can deduct these expenses as charitable contributions. Mileage – you can deduct 14 cents a mile, plus tolls and parking, when you use your car to provide services for O.T.O. purposes. This includes driving to and from your local body if you are an officer or otherwise helping out. Travel – you can also deduct the cost of airfare, lodging, meals, and local transportation if you travel for O.T.O. purposes at your own expense. This includes NOTOCON, Kaaba, Initiator Training, etc. if you are a member of a local body, therefore representing your local body at a national or regional convention. Purchases of Books, T-Shirts, etc. As a general rule, it is not deductible if you get something tangible in return. Initiation fees generally cover actual expenses incurred in providing the initiation, exclusively for your benefit, and would therefore not be deductible. If you pay for food, drink, products, etc. then you are receiving something tangible in return and the cost is not deductible. There are some grey areas such as fundraising dinners, raffles, auctions, etc. for which it would be prudent to consult with a qualified tax advisor before listing them as a deduction. Feel free to comment here or contact me privately with any further questions or to ask about particular situations. Is it feasible to deduct labor? For example, if I spend 10 hours per month doing book keeping for my lodge, can I claim a deduction for the market value of that labor? goatlove: Excellent question. Unfortunately, no. According to the IRS, you cannot deduct the value of your time or services.